USA Rugby has announced that Furman University will be home to some of the best college rugby has to offer Dec. 3-4 when the university hosts USA Rugby Men’s Division II National Championships, the Women’s DI, DII, and Men’s DIAA Fall Championships. In all, 12 colleges and universities will participate over two days, culminating with four champions being crowned Sunday. Many of the games will be held at John S. Roberts Field, which is located adjacent to Paladin Stadium. Furman hosted the Men’s DII National Final Four in 2013 and 2014. Last year, Furman hosted championships for Men’s DII (won by Minnesota Duluth), Women’s DI (University of Connecticut) and DII (Davenport University). Furman Rugby Coach John Roberts, who founded the Furman Rugby Team in 1998 has a 183-60-2 record as head coach, said the university is honored to host the USA Rugby event. 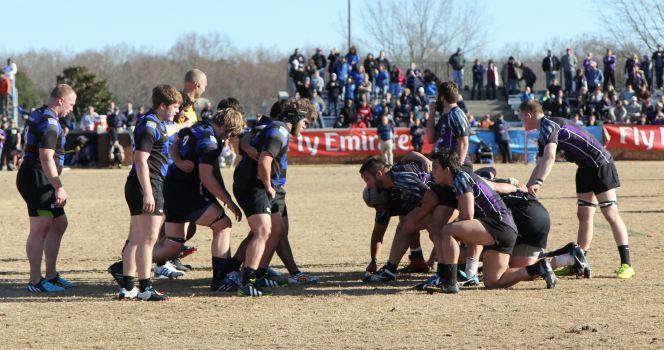 Furman will also host USA Rugby’s Men’s DII South Regional, which will be held Nov. 19-20 at Roberts Field. Four yet-to-be determined teams from the East Coast will participate in that tournament. The Furman’s men’s rugby team, currently 8-0 and ranked fourth nationally, will square off against Coastal Carolina University 1 p.m., Saturday in the Southern Rugby Conference (SRC) semi-finals at Roberts Field. With a win, the Paladins would advance to the SRC finals on Nov. 5. A win in that contest would secure Furman a regional play-off spot on their home field. Last updated October 27, 2016 .